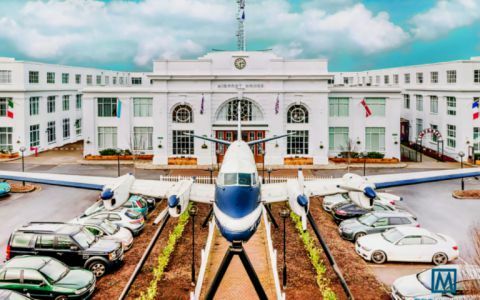 Croydon Serviced Offices located at the site of London's first major airport, our Croydon serviced office premises offers a truly modern working environment within a characterful and historic listed building. Handy transport links, thoroughly modern technology and abundant parking make our premises the ideal choice for businesses looking for serviced offices with real flexibility as they grow. Currently undergoing an extensive programme of renovation under new ownership, Airport House is now taking bookings for new tenants and is expected to be near capacity once renovations are complete. The centre offers ample parking for in excess of 300 cars. The Croydon serviced offices are situated on the A23, the main road between London and Gatwick, just south of Croydon on the Purley Way. The serviced offices are 45 minutes drive from Heathrow, 25 minutes from Gatwick and 40 minutes from Central London.